Facebook is going to introduce its new social network named ‘Watch’ – a potential competitor for YouTube – which will be rolled out to a limited number of content creators and users in the U.S. initially. Recently, YouTube has introduced its full-fledged messaging and video sharing service in its mobile app. 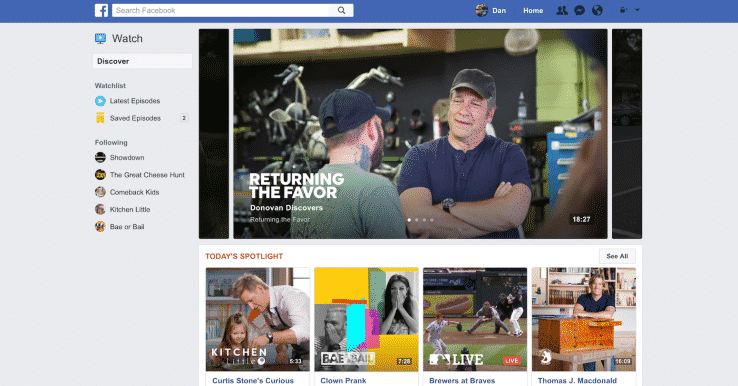 There have been several rumors about Facebook getting into TV-like shows, but this announcement has been termed by the tech specialists as a YouTube-like social network. The exact dates for the release haven’t been announced yet, but the seasoned tech blog TechCrunch has revealed that Watch will be available for certain users in the US starting today. 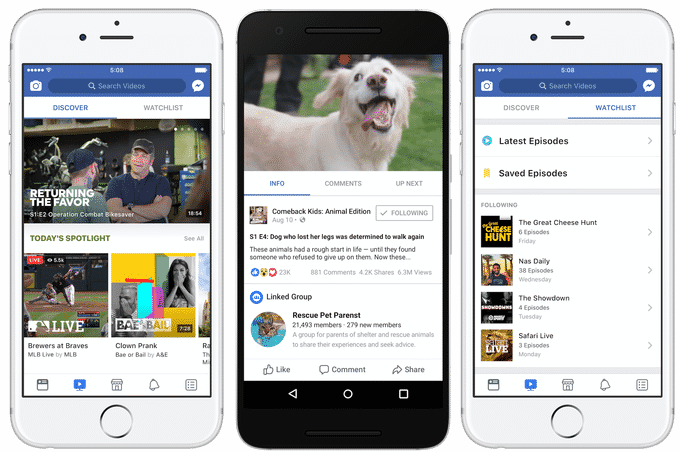 The Watch tab will be a new platform for shows on Facebook, which is extremely easy to use allowing you to discover and watch videos out of your own feed, create watchlists, and subscribe to your favourite shows. The content creators who will produce videos for Watch exclusively will get a 55% share of ad break revenue while the rest will go to Facebook, according to TechCrunch. Facebook Watch Se Hum PTV LIve Ya Pogo Ya Chota Bheam Dekh to Sakte hai Na ??? agar f.b apne media servers pe PTV pogo chotta bheam ka streaming data rakhata hai to ap dekh sako gai warna apko wait karna parega jab tak apka matlooba data server pe upload nae hojata, is wqt taqreeban sara data youtube aur dosre medias se f.b pe stream hota hai, f.b se bhi hota hai lekin bht kam. Facebook Phir YouTube Ko Buy Q Nahi Kar Leta ??? youtube google ki property hai aur google us se ads ki madd mein billion dollars kamata hai,wese bhi bechta wo hai jise paise ki zarurat ho, google k pas buhat paisa hai. itni facebook ki aukaat nahin abhi. What Mark Zinger Burger Itna Ghareeb Hai ???? mara kiya fazul fazul baatein kr rahey ho chutiye insan, fame k liye fazul baqwas likhty rehty ho, woh bhi ghalat english mey. Bhai ap paidayshi chutiye ho ya ban gaye ?